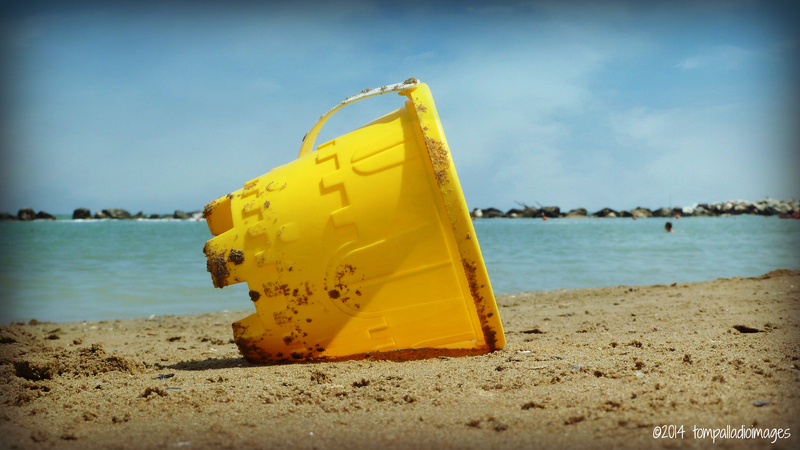 Bookended by Ravenna to the north and Gabicce Mare to the south lies the Rivera Romagnola, a hundred or so kilometers of pristine beaches that embrace the Bel Paese‘s side of the Adriatic Sea. It is here, along this coast, that Federico Fellini’s Amarcord, the 1973 Academy Award-winning best foreign film, came to life chronicling the Cinecittà icon’s youth. And, it’s also along this very same stretch of sand that I find myself in a cooking class, knuckle-deep in Tipo OO farina (type 00 flour) and fresh eggs, trying my best to breathe life into a mound of yolk-orange dough that’ll be transformed into homemade pasta that’s guaranteed to choke a few clerics. More on that whodunit dish in a moment. Getting my hands dirty (read sticky) is just part of the deal I signed up for when I agreed to join eight other Italy-based, travel-foodie bloggers in Bellaria Igea Marina to take part in #LovingRomagna, a three-day introduction to Rivera Romagnola hospitality, history, traditions and locales, along with it’s mouth-watering, to-die-for regional cuisine — la cucina romagnola — and superlative local wines and spirits. Organized and hosted by Hotel Eliseo — a three-star, beachfront property with a five-star kitchen — #LovingRomagna grabbed me by the palate and tugged at my heart from the get-go with a warm and sincere midday welcome reception at the newly renovated Bellaria Igea Marina Fish Cooperative along the canal-port. Local officials representing the fishing industry, gastronomy and tourism delivered their pitches while we jotted down notes, grip-and-grin photo ops ensued, then we all grabbed a glass of white or red, or both (I did), and jockeyed for position around the buffet table to sample some of the homegrown romagnola fair: cozze (mussels), vongole (clams), sardine fritte (deep-fried sardines), and those signature piadini (flatbreads) stuffed in a variety of ways. Do I feel welcomed? YES! 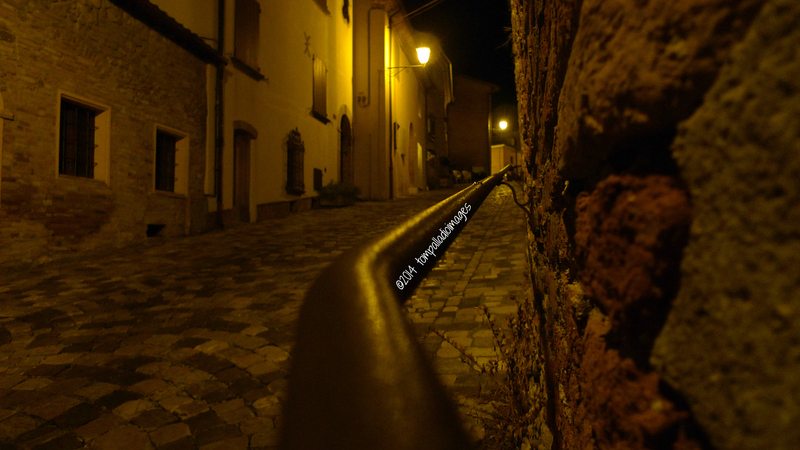 Do I love la Romagna? YES! Bellies satisfied, we’re taken on an orientation walk — no doubt to work off those FEW calories we’ve just added — into the center of Bellaria where we pause long enough to get an historical overview of one of the area’s keepsakes, La Torre Saracena, a 17th century tower used as a lookout post to defend part of the coast against invading pirates. 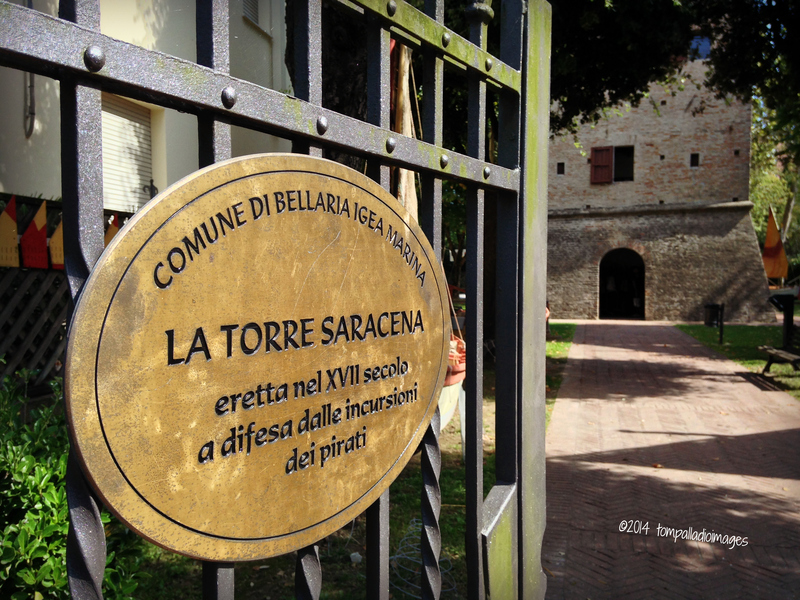 Originally, six towers were built, but only La Torre Saracena still stands and hosts the Museum of Seashells. We continue our stroll across the port-canal, passing luxury craft, fishing trawlers, tugs, tour boats and the old open-air fish market along the way, and then stretch it out along the Lungomare Pinzon (Pinzon Promenade) soaking up the sun and postcard scenery until we make our way to Hotel Eliseo, our seaside digs for the next three nights and where we’ll be treated to six, four-course lunches and dinners, some of which we’ll help prepare during our afternoon cookery classes. 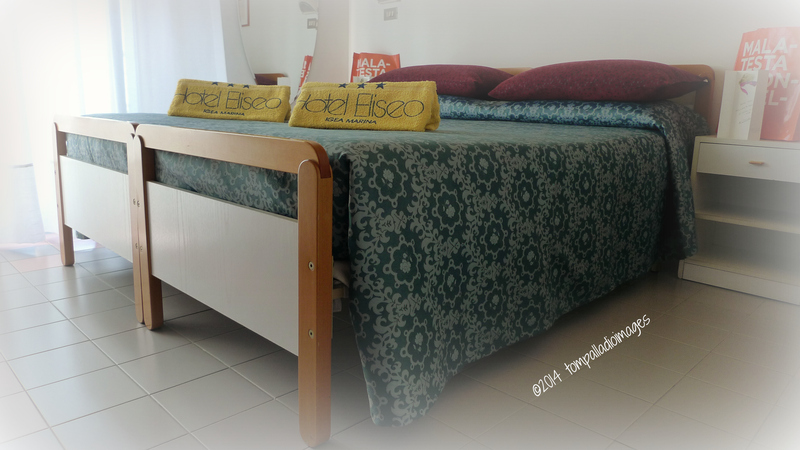 Hotel Eliseo, a member of Piccoli Alberghi di Qualità (Association of Quality Small Hotels), is a family-run property that’s been treating its guests just like family, too, for more than 60 years. Owned and operated by Bernadetta Buda, the Eliseo is a squeaky-clean, 32-room property, with a warm, friendly and relaxing atmosphere that goes above and beyond the call of duty to ensure your stay here is memorable. Hey, they want you to come back. The Eliseo has a time-tested reputation of delivering high-quality service at affordable rates from its enviable position just across the street from the Blue Flag-rated beach that leads sun worshippers down to the inviting Adriatic Sea. 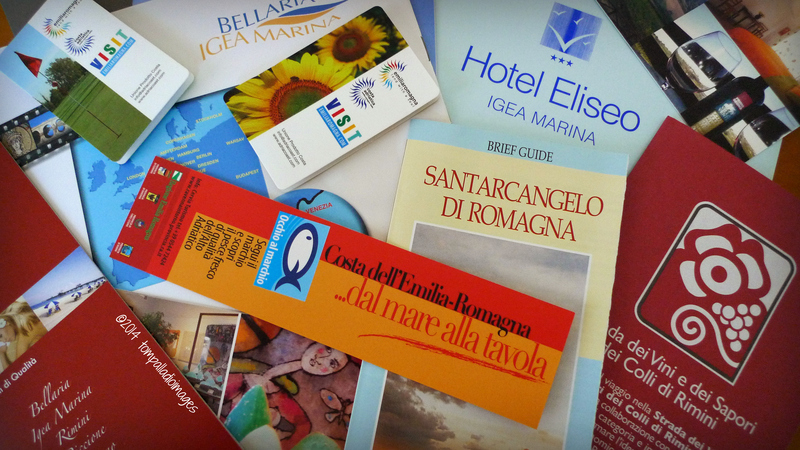 It’s easy to see why the hotel is consistently rated in the top 10% by TripAdvisor® out of the 174 properties that dot the seaside landscape of Bellaria Igea Marina. I score a sea-view room, one of eight the Eliseo has, and get the added enjoyment of watching the sunrise from my balcony each and every morning before taking a walk around the lungomare and port followed by breakfast outside in the garden — the fruit-filled crostate (baked tarts) and savory frittate (crustless quiche) are to die for, and the caffè latte scuro scuro is made to perfection. La dolce vita? You bet. My love for la Romagna just keeps growing. I’ll admit, when I was asked to attend this gastro-tourism event I leaped at the chance to spend three days along the Adriatic on someone else’s euro. Wouldn’t you? But, I had no idea that I’d spend the majority of my time wearing an apron, manning a rolling pin and hanging out with someone else’s grandmother! 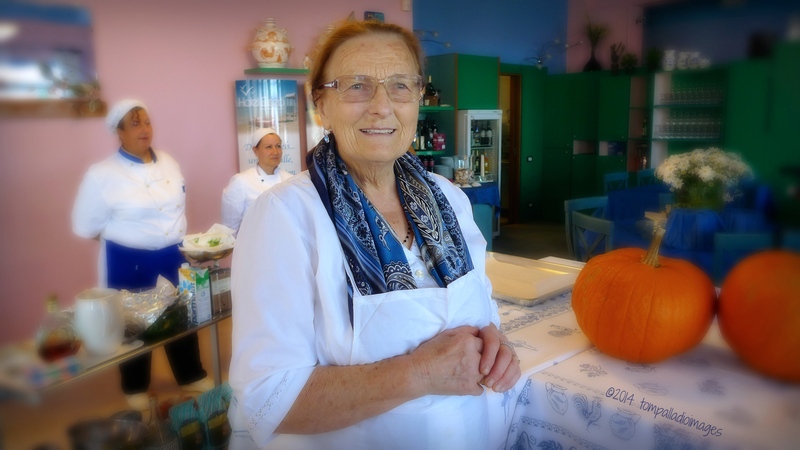 Meet Nonna Violante, the real stella (star) of #LovingRomagna and the best reason to set your GPS for the Riviera Romagna. She’s the latest generation of the Buda family, owners of Hotel Eliseo, to manage the kitchen and create some of the most delicious, mouthwatering dishes you will ever savor IN YOUR LIFE. 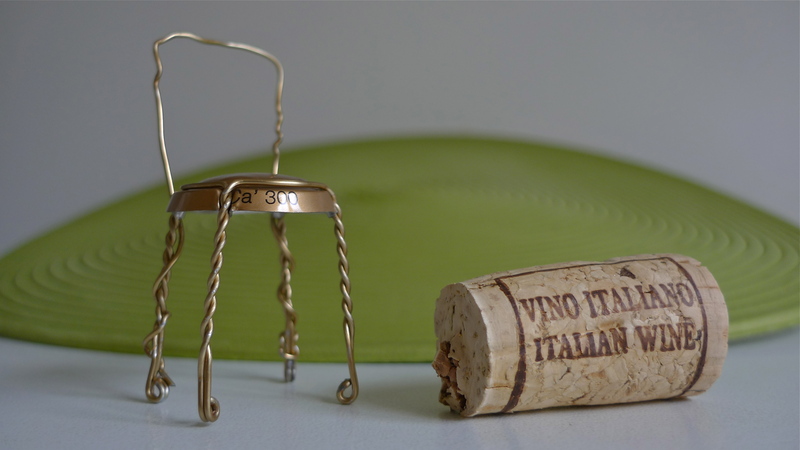 She’s an expert in la cucina romagna, having learned all the secrets of preparation from her mother, who learned from her mother, who learned from her mother, etc. If Fellini were alive today, he’d cast Nonna V in a heartbeat, and probably ask her to cook for his on-location film crew, too. As sweet as ciambella (romagna-style ring cake), Nonna V took us by the hand — she called us her bambini (babies) — and taught us the tried-and-true, step-by-step, old-fashioned ways of making magic in the kitchen. When the type 00 flour settled, our cookery class had a hand in — knuckles, too — 15 different recipes that were devoured by us and the other hotel guests during the six lunches and dinners plated, including the hotel’s weekly Romagna Night feast, featuring a plethora of regional dishes, folkloric music and wine tasting. But, don’t take my word for it, have a virtual taste. Now, about that pasta I mentioned at the outset that’s guaranteed to choke a few clerics? 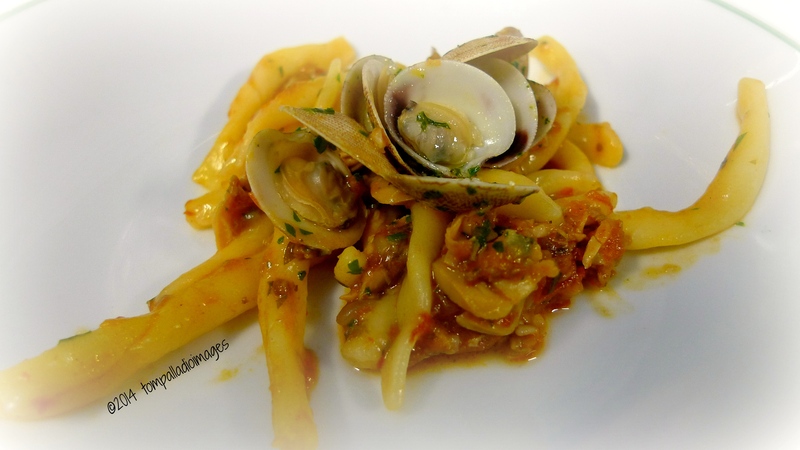 It’s called strozzapreti (priest chokers), just one of the many colorful names I came across in my discovery of la cucina romagna with Nonna V.
And, when these “priest chokers” are topped with a clams-in-tomato sauce, the dish becomes the best murder-mystery you will ever read…uh…consume. 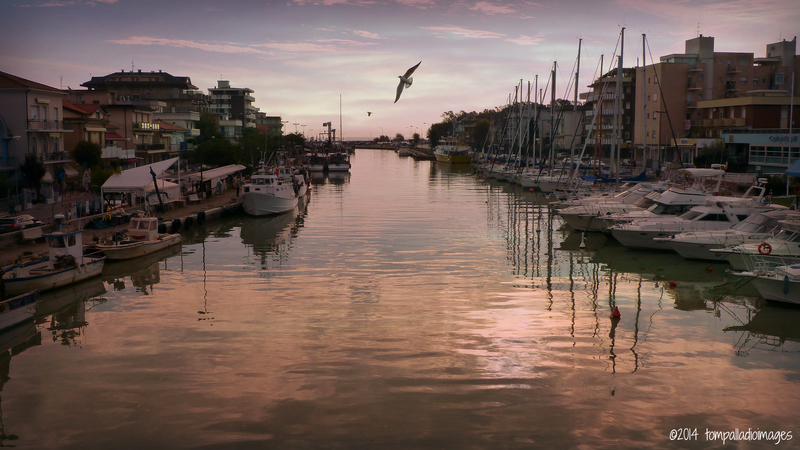 Along with the “required” eating, drinking and cooking, we were given ample time to breathe in the good air of Bellaria Igea Marina and explore one of the nearby pearls of the region, the atmospheric hilltop village of Santarcangelo di Romagna. 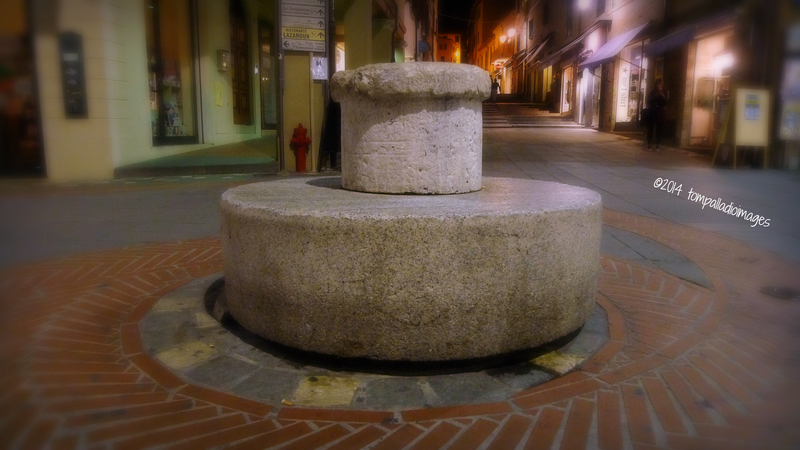 Founded by the Romans around 265 BC, Santarcangelo, a certified Cittaslow (Slow City), sits atop Monte Giove (Mount Jupiter) with clear views of the Adriatic coastline. Birthplace of favorite son Pope Clement XIV, Santarcangelo has been home to more intellectuals and artists than any other town in the province and hosts the annual International Street Theatre Festival. During our nearly three hours on the ancient cobble, we went underground into the Monumental Public Grotto, climbed to the top of the rock to hear the Campanone (bell tower) announce the hour, took a peek inside the Button Museum — 8,500 in all — and ended our guided tour of the village with a sip of the region’s signature sweet wine, Albano Romagna Dolce, courtesy of La Grotta dei Piacere (Cave of Pleasures), a wine shop that also sells local “slow food” specialties, like the much-coveted “sweet” salt Cervias and the prized Fossa cheese. 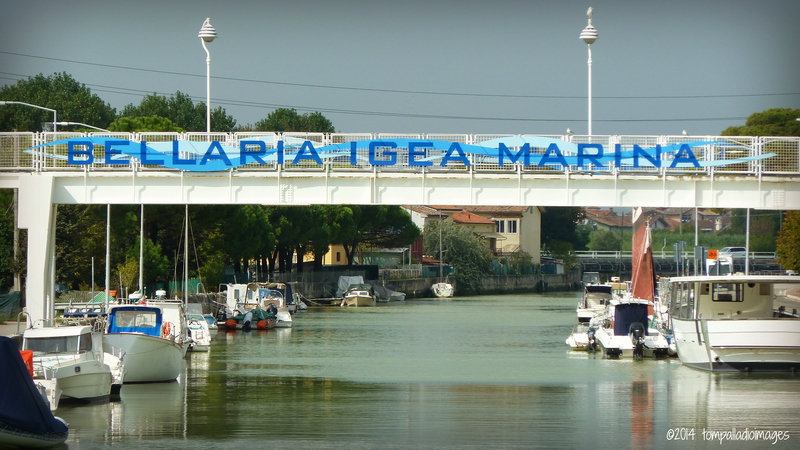 In Italy, it’s the food, more than anything else, that draws tourists to her shores, and one of the best places to wet your whistle and whet your appetite is right here in Bellaria Igea Marina, on the Romagna side of the Emilia-Romagna region. With so much to see — think nearby Rimini, Ravenna and the Republic of San Marino — and so much to savor, you really owe yourself a try-on. 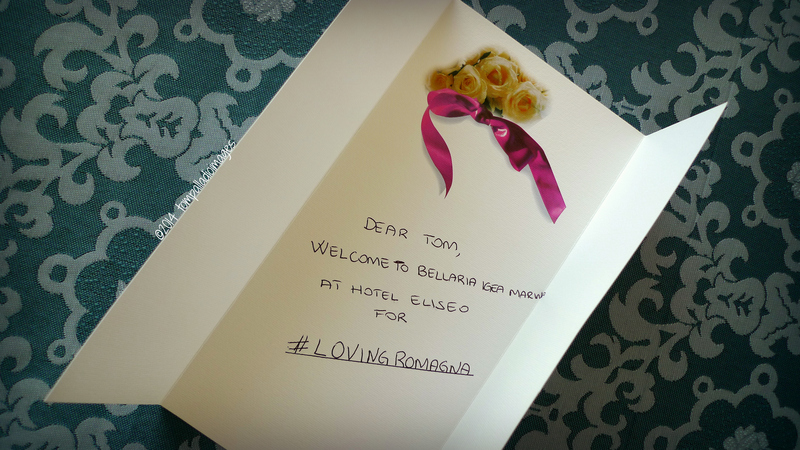 Special thanks to Bernadetta Buda and her staff at Hotel Eliseo for hosting #LovingRomagna, the Bellaria Igea Marina community for rolling out the red carpet, and a special hug to Nonna Violante for teaching us the “slow food” way around la cucina romagna. 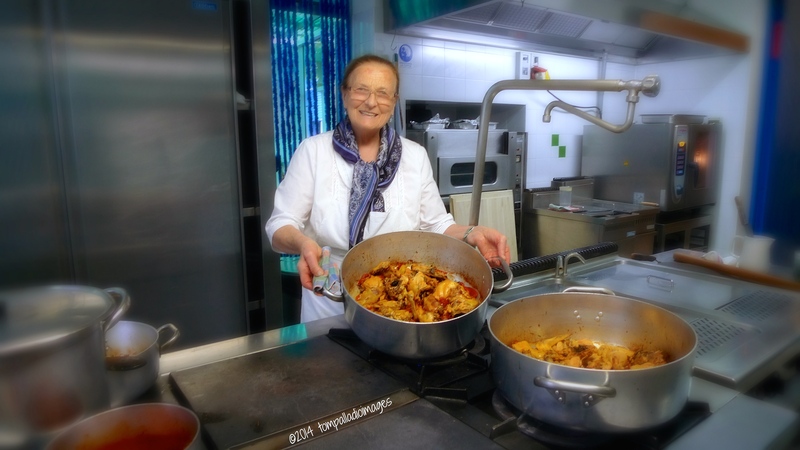 I’ve always thought it would be fun to do a cooking tour in Italy. After reading this, I want to do it even more. TSX — It was grand. You should try it. Loved this posting! I could swear my hands started feeling sticky about halfway through. Thanks. Once again I enjoyed the Arm chair tour of your latest foray. Once again I let your fingers do the talking and enjoy your photographic stills. I am looking forward to the day when you turn your trips into video and audio documentaries. Then you will probably end up on the “Food Channel” and be viewed by millions. Keep up the Great work Tom. Fred — Thanks for the comment. It would be great to add video, which I could IF I had loads more time to do so. We’ll see. Worth the wait/weight. I haven’t taken a cooking class in Italy, but I’ve taken cooking classes from an Italian woman who runs a cooking school on Cleveland’s east side. Her grandmother’s walnut sauce for pasta is superb. Mangia! Janet — Glad you weighted for this one. Your Cleveland nonna’s walnut sauce sounds great. Great little tour, Tom, I want to go to Romagna NOW!! Sue — Thanks for the feedback. You should go there. 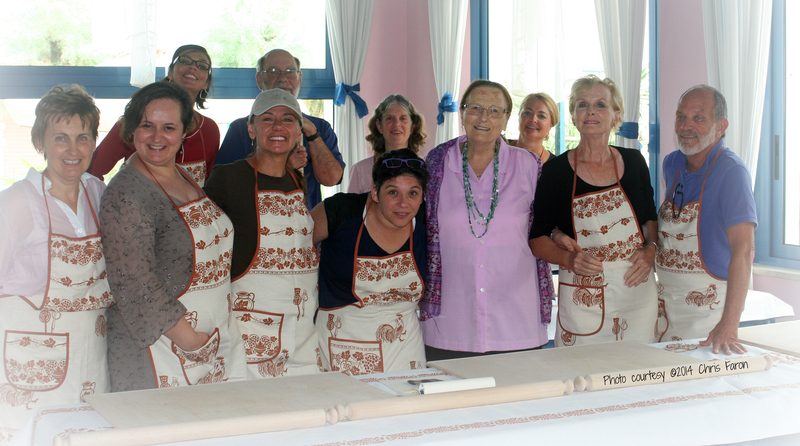 I love the idea of a cooking class from an Italian Nonna! The true source of traditional skills. Thanks for the feedback, Jeff. Much appreciated. 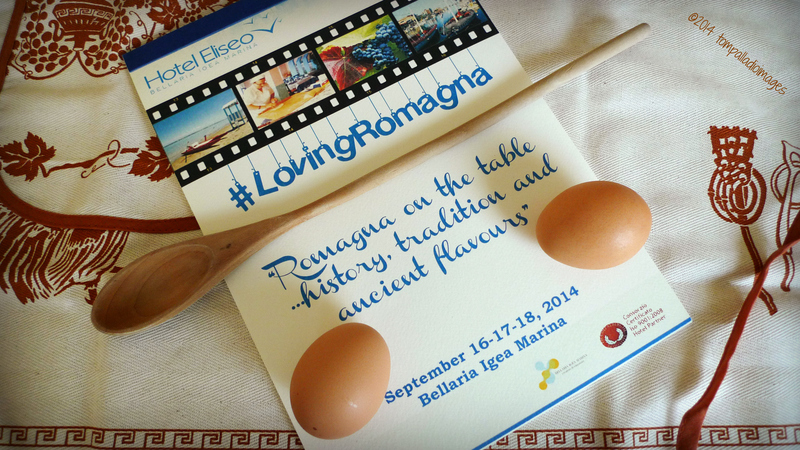 I love Romagna, too! And I see my friend Alessandra in your photos. She is the person who introduced Emilia-Romagna to me and I am so grateful for that. I hope to get back sometime and enjoy some of the experiences you had! Cathy, E-R will be right there awaiting your triumphant return. What an experience – and I thoroughly enjoyed your documentation of it all, both verbally and visually!